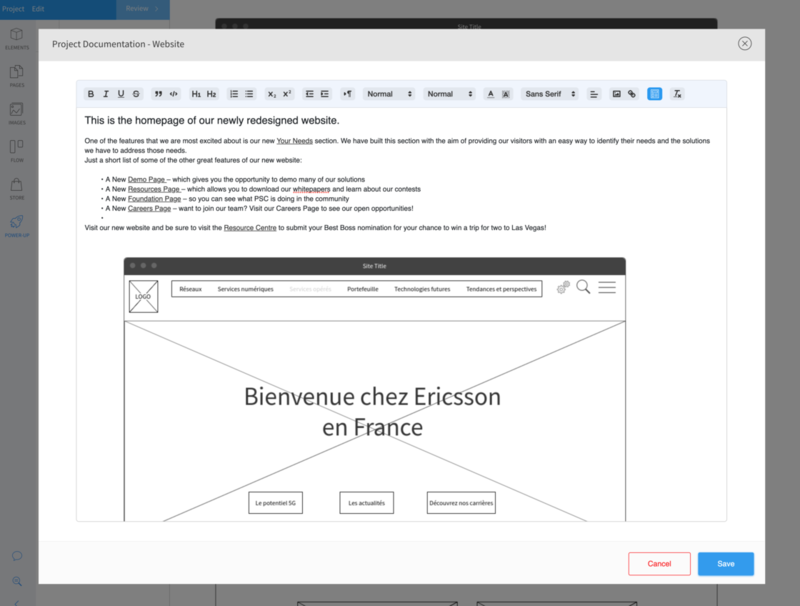 UX documentation power-up provides a rich WYSIWYG writing tool specifically designed for writing guidelines and specifications for your UI designs created with MockFlow. After many months, we are super excited to release the next major version of MockFlow WireframePro. The most important part of this release is the introduction of Power-ups. Multiple icon libraries - Now finding the appropriate icon for your project type is easier. 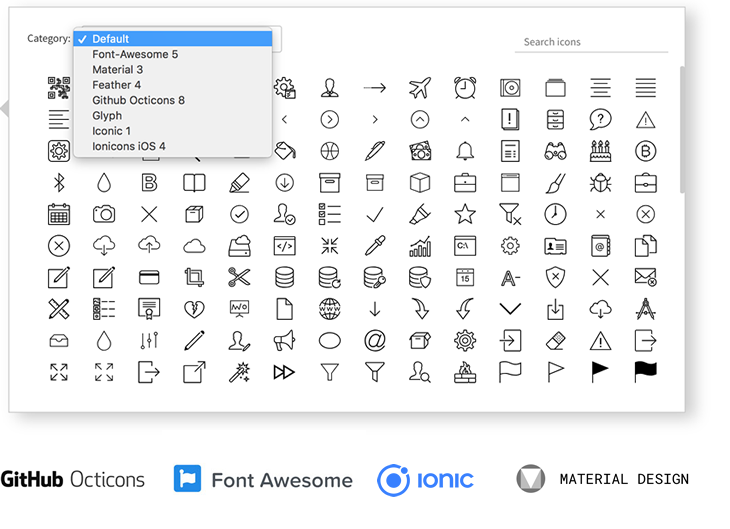 As the icon picker in editor has built-in support for a wide variety of popular icon sets such Font-awesome, Ionic, Material ...etc. and this list will keep growing. Vector image support - SVG images are now natively supported in Images section. The settings panel allows to make certain modifications to SVG like flip, color change, opacity and shadow. MockFlow provides built-in connectors for Okta, Onelogin and Google SSO identity providers. 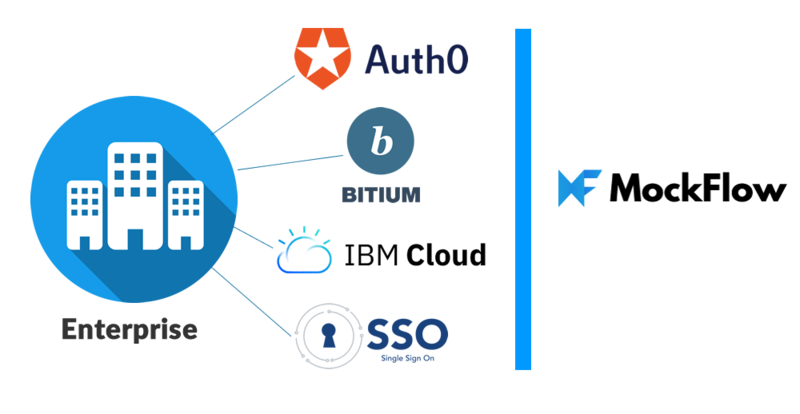 In addition to this, Enterprise customers can now connect to any third party SSO identity providers that supports SAML methodology such as Auth0, IBM Cloud identity, Bitium etc. Since Enterprise license offers access to unlimited users of a business, SSO provides a seemless experience for UX collaboration without any user registration requirements. Are you frequently switching between UI packs for your wireframing ? If yes, then this is the feature that you are looking for. The latest release of WireframePro enables users to create meta UI packs that can merge multiple components packs into a single bundle. This not only reduces the effort to switch between packs but also helps in finding components across multiple packs easier. Let us take for an example: You can merge two UI packs 'Handdrawn components' and 'Handdrawn icons' into a single pack for creating your sketchy mockups. Meta UI packs can be also customised to include any number of UI packs and the list can be also easily re-ordered to suit your needs. 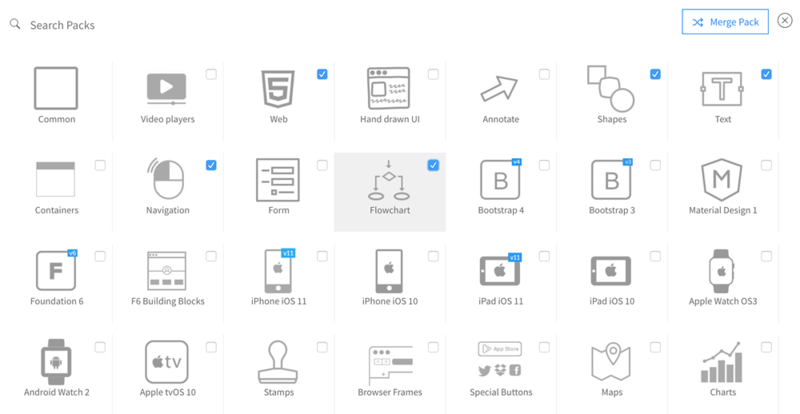 We are excited to announce that MockFlow is not just for Online anymore but works in Offline as well. 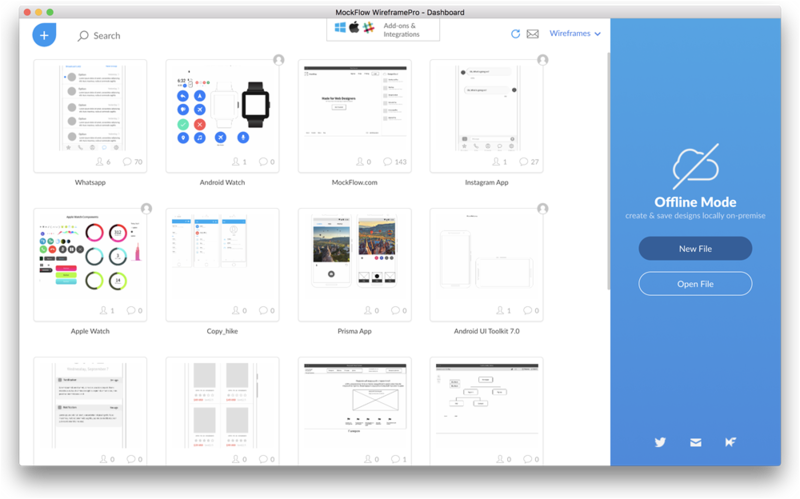 The latest desktop apps for WireframePro support fully offline functionality allowing users to create and save wireframe projects as files (*.wire) without any cloud dependency. Note1: Offline Mode is only available for users with annual licenses. And it will only work with desktop apps having active licenses. Note2: A variant of OfflineMode called "OfflineSync" was previously available 2 years ago with desktop apps created with Adobe AIR. However that version is now defunct and replaced by this new suite of desktop apps. MockFlow already supports SSO with Google Login for businesses using GSuite. In today's release, we are extending this support for enterprises using SSO/SAML for their identity access management. We are happy to announce that our Okta integration for SSO/SAML has been approved and published by their team and is available for general use. Get ready for the summer update of WireframePro! Today's release brings in two important features and another UI pack for wireframing Augmented Reality mobile apps. As the name suggests, now it is possible to selectively export only a particular component, group or a selection of elements from a page to image. 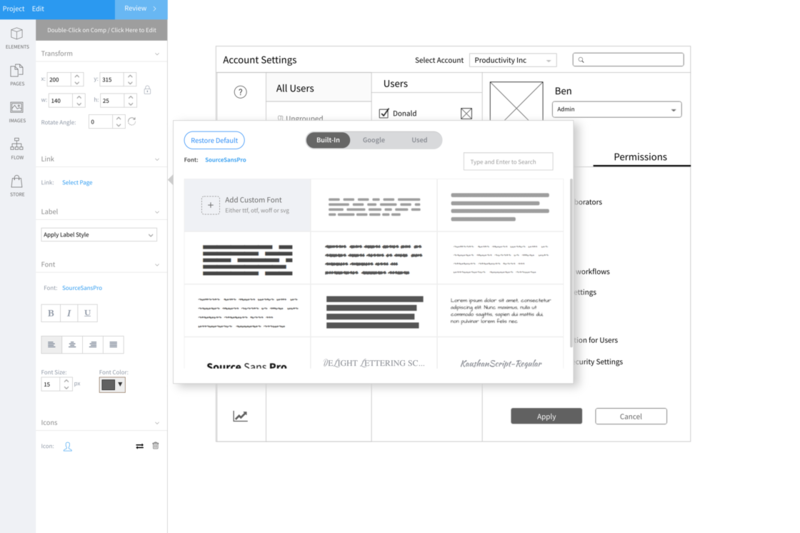 This is useful in exporting and sharing certain parts of your wireframe , when publishing your design elements to a StyleGuide or in breaking down a large wireframe whiteboard into artboard images. While the default background of a WireframePro project remains white, users can now set a common background color for all pages or even make the background transparent. Wireframes with transparent background are helpful when generating images with selective export and designs required for further processing. 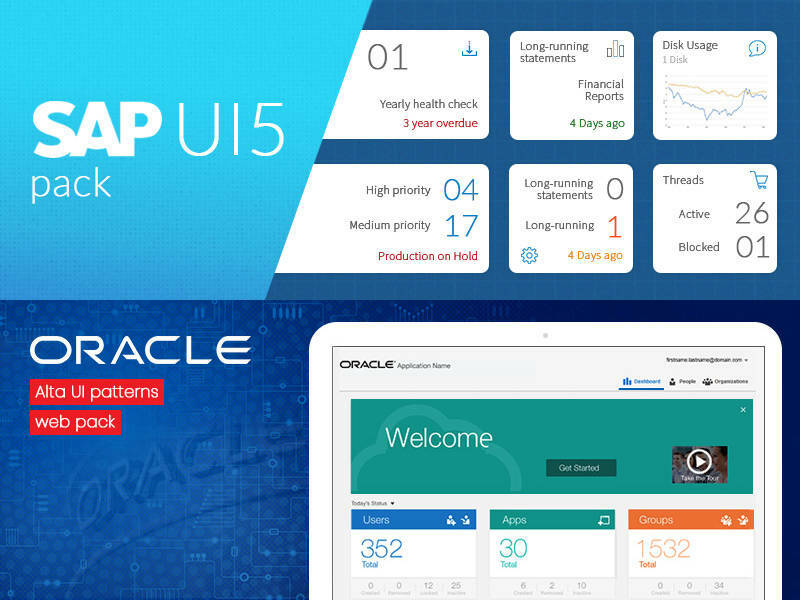 76 components in Oracle Fusion UI. 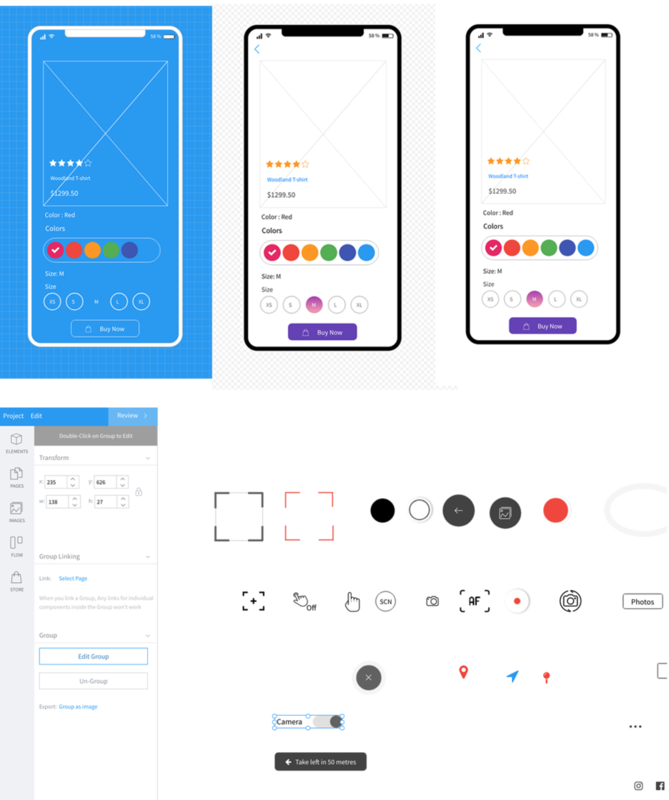 If your business is using the above frameworks for its apps then brainstorm with your team to plan your UI better with these ready-made UI packs and our super-easy wireframing software. WireframePro now supports custom fonts that can be uploaded by the user. This is in addition to Google Font library and many built-in wireframe fonts already integrated within the editor. Using the custom font feature, users can bring in their own font families for their UI design and make it look closer to the final output. To upload a custom font, just upload any supported font file - ttf, otf, woff or svg. WireframePro will automatically generate the css and required font family from the file. Note: Custom font uploading is only supported for users with TeamPack and Enterprise licenses. Surely MockFlow will start publishing changelogs very soon.